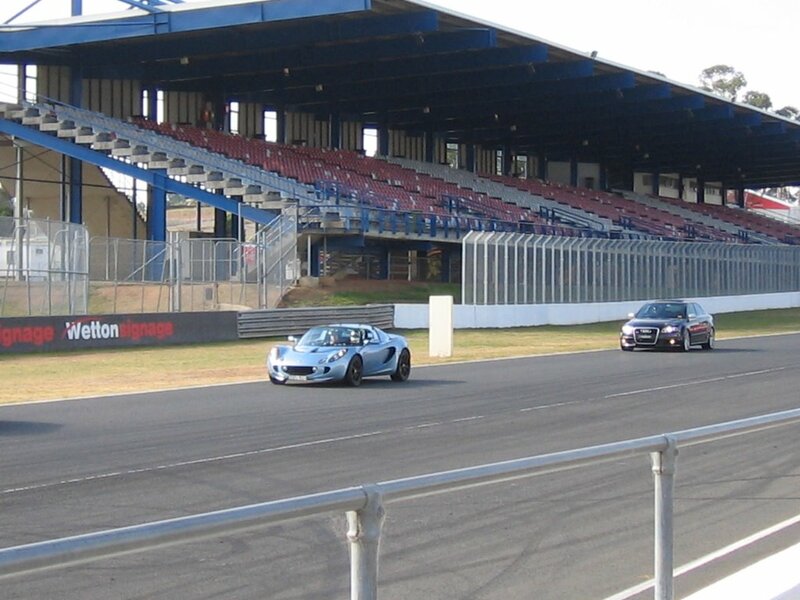 Today it was my first proper track day at Eastern Creek Raceway in Sydney. 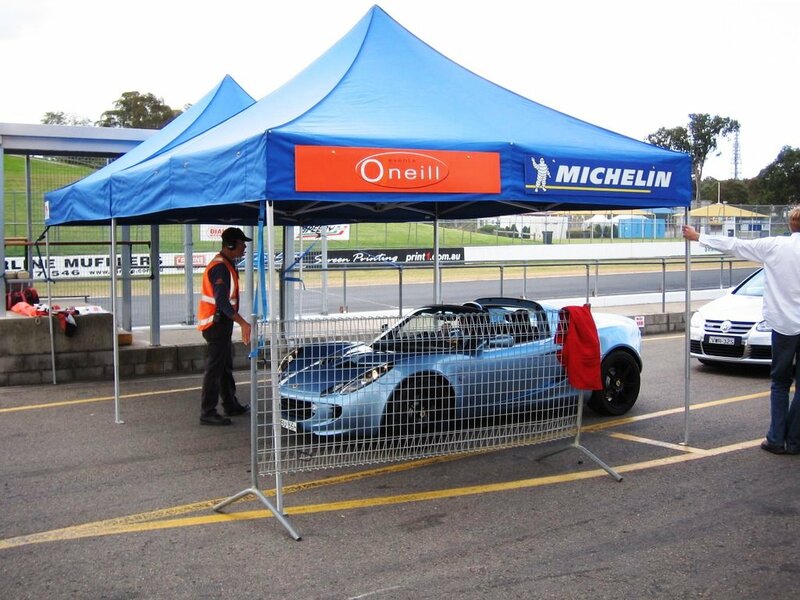 I have driven for a afternoon once at Eastern Creek before a few months ago but this was my first full day on the track and in my own car. 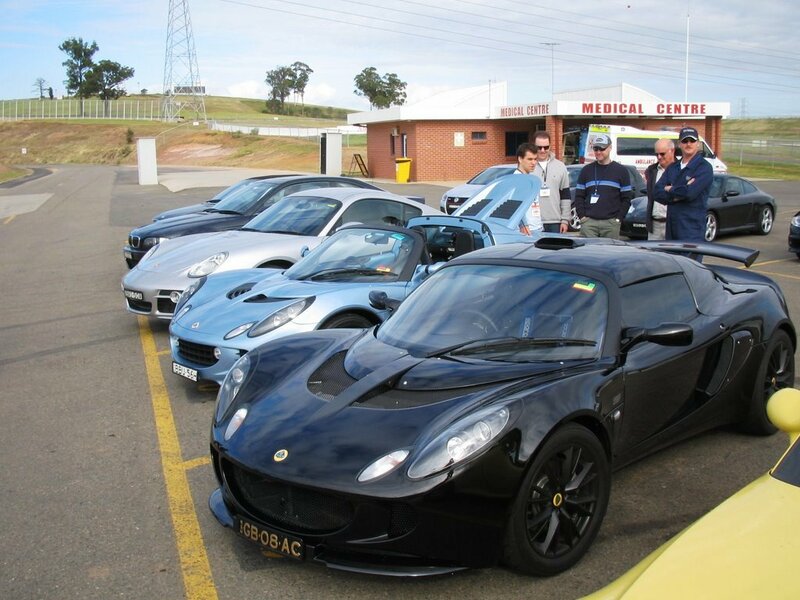 It was time to test the Lotus out near its limit but in the safety zone of being at the track with fire a paramedics at hand should anything go wrong. Well it was a safe day and I learnt a hell of a lot about all the beginnings of racing techniques. There was one crash which was a driver of a Porsche 911 after only 10 minutes in, probably his tyres and brakes hadnâ€™t reached correct temperature and he came off doing around probably 150 into the tyre wall. He was taken t hospital but we received word an hour later he was all fine. 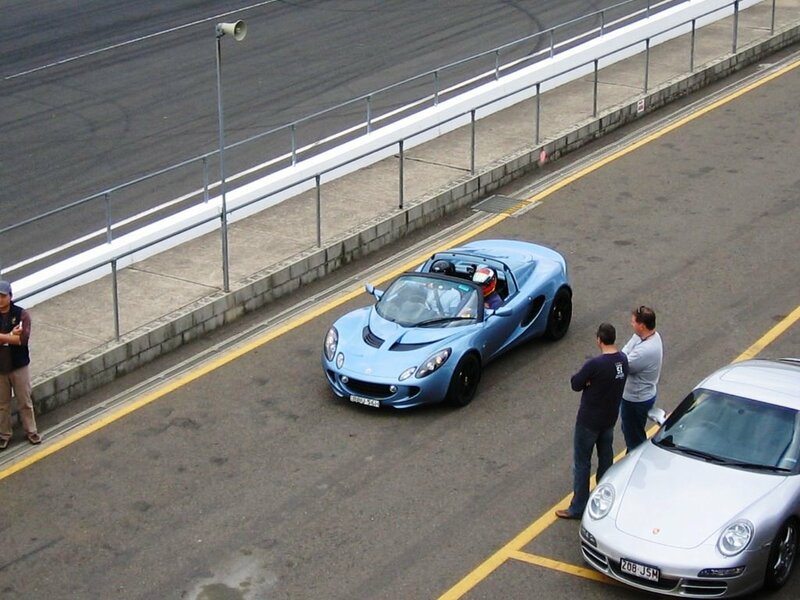 When we arrived at the track, everyone in the beginners group which I was in had to do a long safety briefing in a suite above the pit garages and then outside one of the instructors gave us a briefing on correct seating positions and about securing everything loose in the car. He used my car as it had no roof to easily show these things. 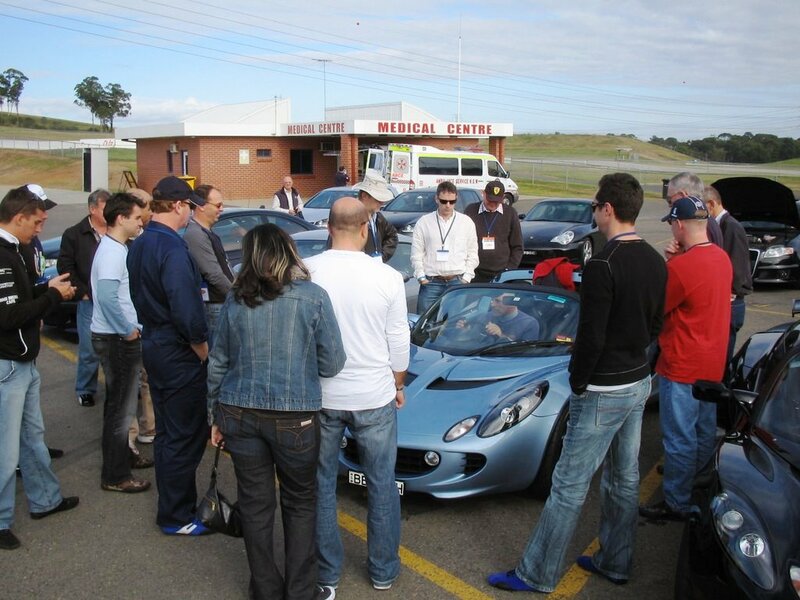 Here I am just before we go out on the track for the first time explaining the differences between my Lotus Elise R on the left and the Lotus Exige S on the right to some of the guys in the beginners group. 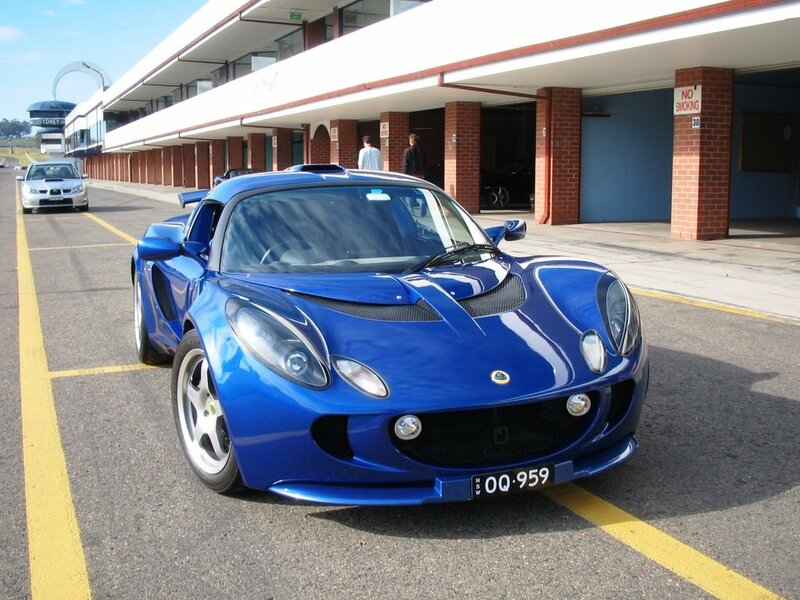 My friend Robert Bryden’s Lotus Exige Cup 240, the top of the range Exige offered by Lotus Sport and pretty rare too, only a few in Australia. Quite a bit more power than mine, really makes it FLY around the track, these are raced professionally a lot in Europe. 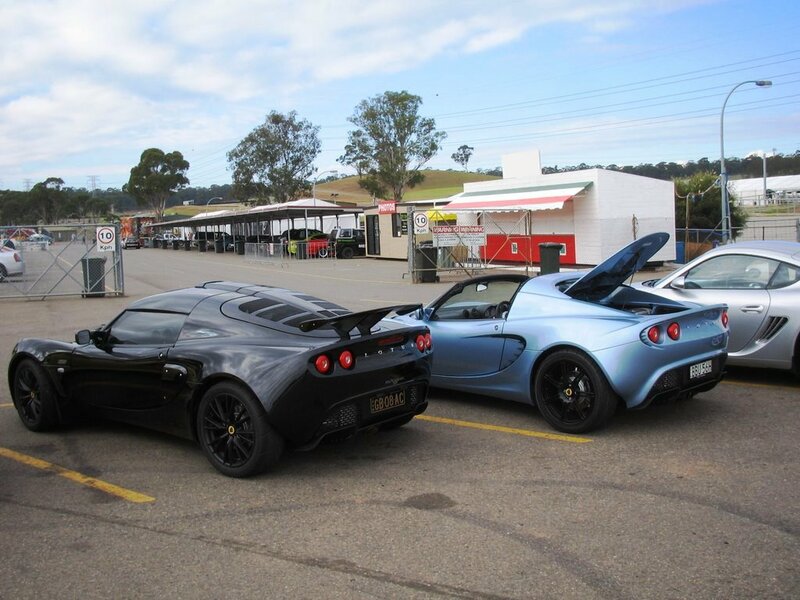 My friend the ‘meatman’ thatâ€™s his nickname Iâ€™ve given him as he owns Australiaâ€™s largest meat packing company bought his brand new Black Exige S along. He was a terror on the track, overtaking everyone with ease all day long. Another photo of the lovely Black Exige, this is in the pit garage. 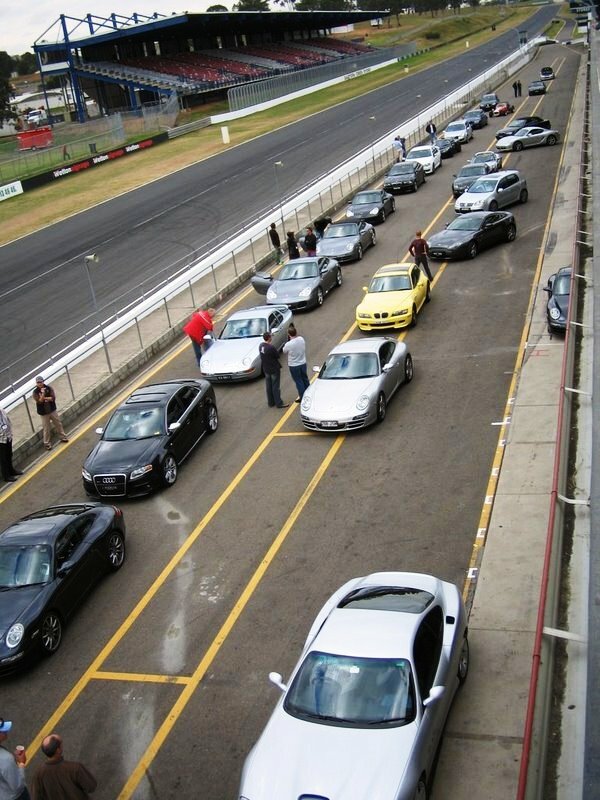 Lots of expensive cars all lined up ready to hit the track! Line up Line up, gentlemen start your engines! With the pit lane exit marshal waiting for the go ahead to exit the pit lane. The marshal looks down the track and gives you the go ahead when he sees a gap for you to accelerate onto the track quickly. Me driving along the main straight in front of the grandstand leading an Audi RS4, I was going at 200kph (125 mph) at the end of the main straight, in a car thatâ€™s so low to the ground that feels really fast. Turn 1 just after the main straight I managed to stick to 140 kph (87mph), that speed in a corner is bloody scary but it sticks to the road with its aerodynamics. Coming back into the pits after a few laps to cool off and get my concentration back. Old and new Lotus’s, the old Lotus 7 in the background now being made by Caterham cars Ltd in Caterham England. 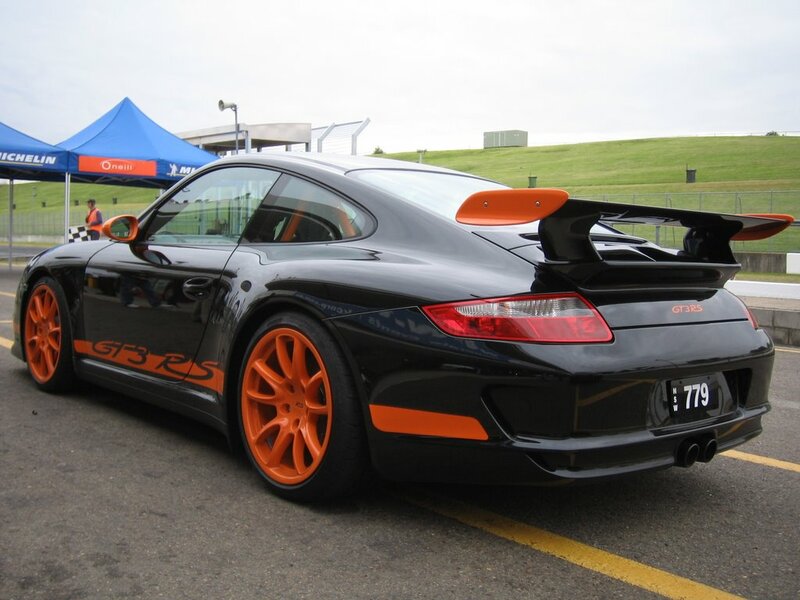 Me checking out my favourite car the Porsche 911 GT3 RS, worth nearly 3 of my cars! A very track focused car, not something you could have as a daily driver car, far to raw. I asked instructor Mat if he would take my friend Chris out for a few hot laps, he did for 3 laps and he really enjoyed the experience, he loved it. This BMW M3 was good fun to go up against, it had more power in the straights but on the corners I was making distance on him, no other road car can beat a Lotus on the corners. What a fun day overall!